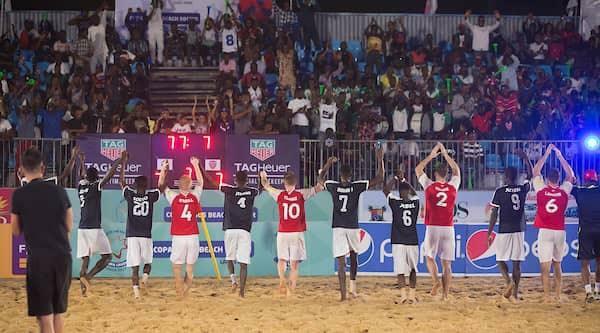 The globally acclaimed Beach Soccer Event – COPA Lagos was among the top 3 best beach soccer event globally, alongside the Euro Beach Soccer League (Nazare, Portugal) who won the award & Euro beach Soccer League Super Final (Alghero, Italy). The award organizers, Beach Soccer World Wide, made the announcement in an event in Dubai on the 10th of November, 2018. Managing Director of Kinetic Sports, Samson Adamu was full of gratitude and pride for this commendable accomplishment. He also took time to explain why the 2018 edition of the annual COPA Lagos beach soccer tournament would not hold as anticipated. According to him, given the close proximity between the proposed date for this year’s edition and the kick-off of the Confederation of African Football (“CAF”) Beach Soccer African Cup of Nations taking place in Egypt from 8th to 14th December, 2018, they have taken the decision not to host the tournament this year.